Contact us and schedule your convenient removals and storage service appointment in advance. We will provide you with a quote, based on the volume you wish to store and the length of the rental period you require. Note that the minimum period for a short-term storage is one week. Also, the removals and storage service should be scheduled no later than 48 hours in advance to minimise the risk of any delays. You are advised to give us an approximate time and date when collection and re-delivery will be completed. You will pay for your storage in advance and will be refunded any unused storage space once you leave. To give you a precise price quote, we need to be aware of the exact volume of your belongings so we can estimate the storage space that will be required. We are able to obtain this information via a video survey during a call with one of our sales experts. Ask our specialists how to schedule a video survey for smooth removals and storage process. We will send an experienced team of movers to your address in London who will be equipped with everything they need to load your belongings, equipment and furniture into the right-sized vehicle. We use Luton and Transit vans for the removals service. The vehicles furnished with tail lifts to ensure seamless and safe loading procedures during the furniture removals and storage. Upon request, we can provide you with sturdy moving boxes of various sizes and quality packaging supplies, as well as help you pack prior to or on the same day as the collection and moving takes place. At the storage facility, the Fantastic pros will unload your items and place them securely in storage units. Regardless of how long you are renting a container for, they will use protective blankets (5 per container) to ensure that your load is safeguarded against damage during the removals and storage process. Note that the cost for the blankets is included in the final storage price. Each container will be then sealed with a security seal. The unique security seal number will be safely recorded along with your name and the crate’s number to facilitate the release of your stuff on the final day of your storage rental period. If you’re looking for long term furniture storage options, why not take advantage of our fantastic pre-payment discounts (please ask when enquiring). A 48-hour minimum notice applies when it comes to booking a re-delivery service with us. For instance, you may need to amend your initial re-delivery booking, due to a change of circumstances (you wish to collect your belongings earlier than planned). Note that we will refund each day of unused rental time. The removals and storage experts will collect your belongings from the storage container and deliver them to your address. The unloading process will be executed with the same level of diligence and care as the loading. The storage containers for your items safely are sealed securely and are damp-proof wooden ones. They are monitored at all times via a CCTV surveillance system and the storage facility is manned 24/7 to ensure the safety of your belongings. The warehouse is kept at ambient temperatures 365 days a year, ensuring the goods will be kept in the condition we collected them. In addition to assisting you with removals and storage in London, we are able to provide you with other property solutions (ex: end of tenancy cleaning, furniture assembly/disassembly). You can also book a rubbish removal service with us and have any pieces of old furniture that you no longer need discarded, instead of paying needlessly for a furniture storage. During the booking process of your removals and storage service, you can select one of our prepayment options and get a discount. You will pay 5% less if you book and prepay storage unit for 3 months, 10% - for 6 months and 15% for one year of long-term storage. 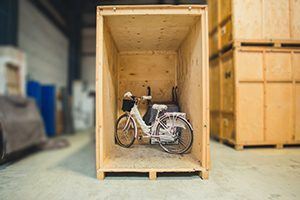 From disassembling, packing and loading to storing, redelivering and unloading your commercial goods, furniture or personal belongings, Fantastic Removals can help you with a variety of temporary and long-term storage situation. There is now a way to lower the already affordable price of your secure storage service – just sign up for our Fantastic Club. As a member, you will receive a year-long discount of 10% on all our removals, cleaning, and other services, as well as preferential booking slots. You can also use our GoFantastic app to enjoy your discounts even when you are not at home. What is the Fantastic Club? Students in London could have a number of reasons for needing a student storage service where they can store their belongings somewhere safe. For example, students, who go home for the summer, find it cheaper to use a personal student storage facility while away than keeping up with their rent payments in London. Folks who travel a lot or work abroad may prefer to get a temporary storage in London for their stuff while they're out of the city. If you are in need of a secure student storage containers in London, contact us and share your details with one of our representatives. Each of them will guide you how to book the service and will also provide you with a unique quote for your particular student storage service in London. It can be a pain to work around bulky furniture during a refurbishment project at home or at your commercial facility. Also, moving pieces from one room to another and worrying about covering them well with protective sheets just creates more work and adds to the stress. So, placing your furnishings into a personal furniture storage container might be just the perfect solution for you while your property is undergoing a major makeover. A short or long-term business storage service can save the day for many commercial property owners who are moving their offices. 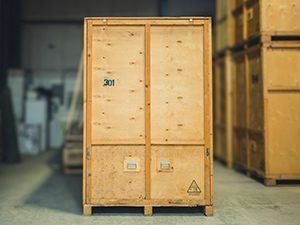 They should rest assured that their furniture and valuable equipment are secure and monitored during the removals and commercial storage process. If you are an online retailer who needs a business storage service to keep bulks of merchandise for a longer period of time. Learn more about our commercial storage service by contacting us 24/7. Whether you are selling up your home or you are moving out of a rented property, you may need to put your possessions into a safe storage warehouse if there’s a waiting period before moving into your new place. Or if you are planning to downsize, you could consider getting a safe storage for furniture where your excess furnishings will be taken care of until you decide what to do with it. Send emails or make quick phone calls with people who should be concerned about your move. Family, friend and especially colleagues and business partners. If any of them have had plans to establish contact with you, they will have time to do it before the moving day. Make sure the boxes and items are properly sorted and labelled. The movers need to know which items to unload in your new property and which need to be placed into storage containers. On moving day, the movers will be carrying some heavy boxes and furniture. They'll have to take it out of the house as easy as possible. Close all doors that may confuse them. Mark the corridors inside the house that will provide the most efficient route to the front yard where the van will be parked. Make things easier for the movers. Remove items and office consumables from drawers. Get rid of any other items stored inside dressers and wardrobes. The lighter your furniture is, the easier it will be for the movers to lift it. This will save time and eventually costs for you. Q: Do you require a deposit or a payment in advance? A: Yes, a one-week refundable security deposit per container payable upfront. The cost for the actual service is also payable in advance. On that note, we offer a range of discounted prepayment options to suit your storage needs. Note that overdue payments will incur additional charges. Learn more about the storage costs you'll have. Q: Can I put all my possessions into storage? A: Absolutely. However, you cannot rent a container to store food, hazardous materials or illegal goods. Q: I can’t dismantle my furniture I want to store? Can you help? A: Yes. Upon request, the removals guys will bring all the necessary tools to disassemble your furniture. Additional costs may apply. Q: Is there some sort of contract I need to sign prior to placing my stuff into storage? A: You will be provided with terms and conditions of the service, and it's your responsibility to read them. Q: Can I access my stuff while in storage if I need to? A: Unfortunately, we do not offer this service at present. Q: How can I cancel the service? A: Please contact us to book a re-delivery and make payment a minimum of 24 hours in advance.